The ancient meadows still remaining are part of our cultural heritage and history, some of them are as old as medieval cathedrals. It is estimated that 97% of wildflower rich meadows have been destroyed since the 1930s, and the remaining ones are often unprotected. Meadows are an essential habitat for many types of insect. Recent research has shown that there has been a dramatic decline over the last 30 years in the number of flying insects, including a 76% overall decline in butterflies in the last four decades. A typical meadow has flowers in abundance - thousands of plants flowering together providing food on a huge scale to many thousands of pollinators. As we know, insects like bees are essential for the pollination of meadow and garden flowers, as well as many of our vegetables and fruits. Meadows are productive. Hay meadows provide a valuable crop of hay, used as winter fodder for livestock. All wildflower meadows provide beneficial herb rich grazing pasture. Meadow flowers support many species. Bird’s Foot Trefoil is a food plant for 130 species alone and is the key food plant of the caterpillar of the Common Blue Butterfly. Native meadow grasses are the sole food plants for many caterpillars of our meadow specialist butterflies – Skippers, Marbled White, Meadow Brown, Gatekeeper, Ringlet, Speckled Wood. 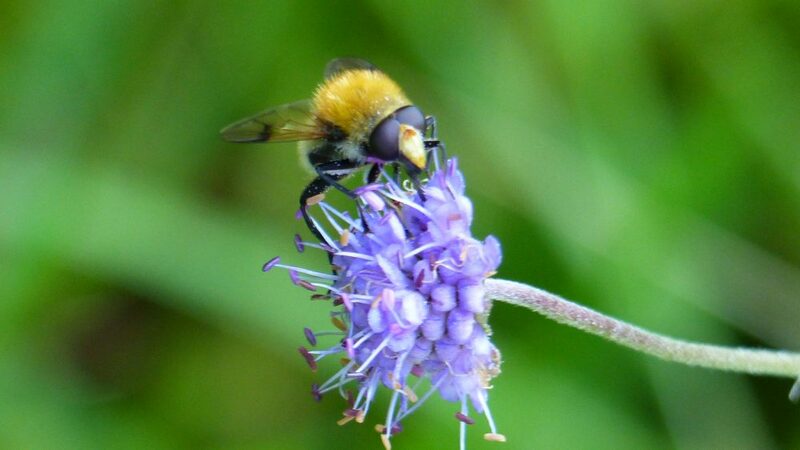 The insects that live in the long grass of meadows provide food for insect-eating birds like Swallows, House Martins and Swifts. They are also food for many amphibians, bats and reptiles. 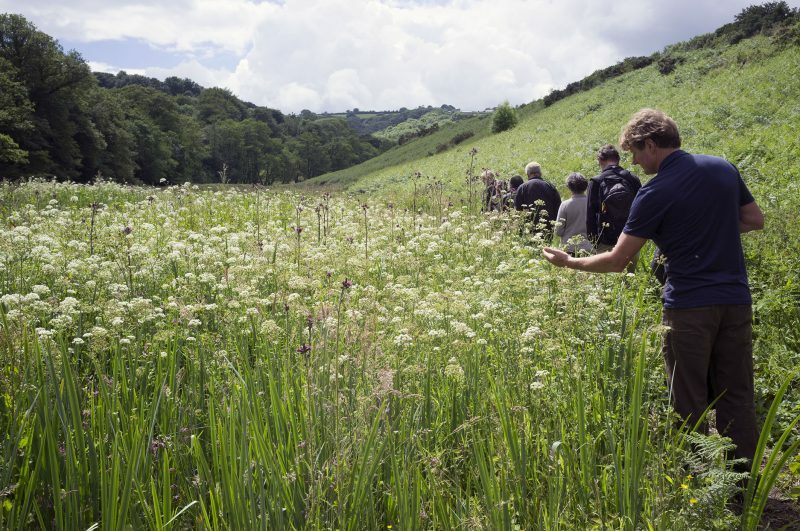 Many once familiar wild meadow flowers are becoming increasingly threatened. Ragged Robin, once a common plant in damp meadows, is heading towards being classed as ‘threatened with extinction’ in England says Plantlife. Meadows provide many other environmental benefits, including carbon storage and water retention to prevent flooding as they are never ploughed. "If ninety eight percent of our woodland had been destroyed there would be a national outcry"